Why this hotel? Close to gay nightlife. Beachfront location. Good breakfast. Free WiFi. 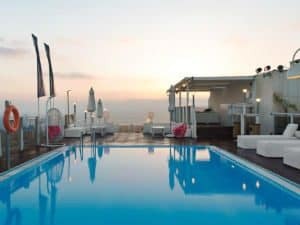 The luxurious Herods hotel enjoys a beachfront location overlooking the Tel Aviv Marina. 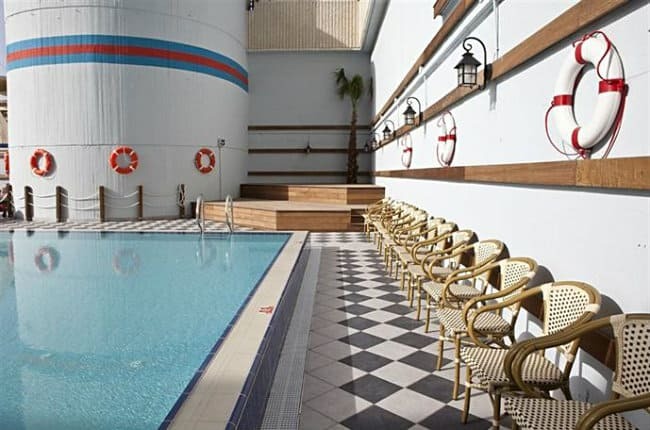 It features an outdoor pool, restaurant, bar, sauna, gym and massage. 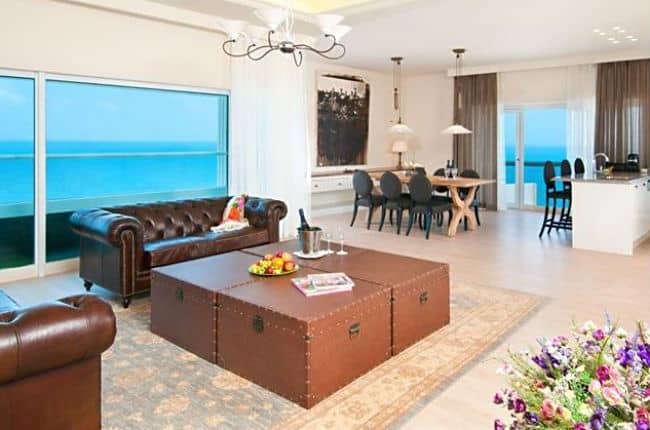 Each contemporary-styled rooms has an LCD TV, tea/coffee maker and a balcony with Mediterranean sea view. The staff are helpful, and the breakfast is excellent. 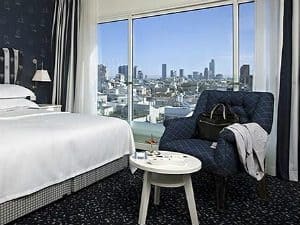 The hotel is within walking distance to Dizengoff Street where you’ll find many shops, restaurants and cafés. Bauhaus Center, White City and several gay venues are within easy access.